Ducks boogie along on a lake behind a big rock formation. hd00:21Mono Lake 010: A strange landscape of Tufa columns at Mono Lake, California. hd00:07Medium, shot of unusual rock formations in the foothills of the Catalina Mountains in Tucson, Arizona on a sunny day with blue skies. 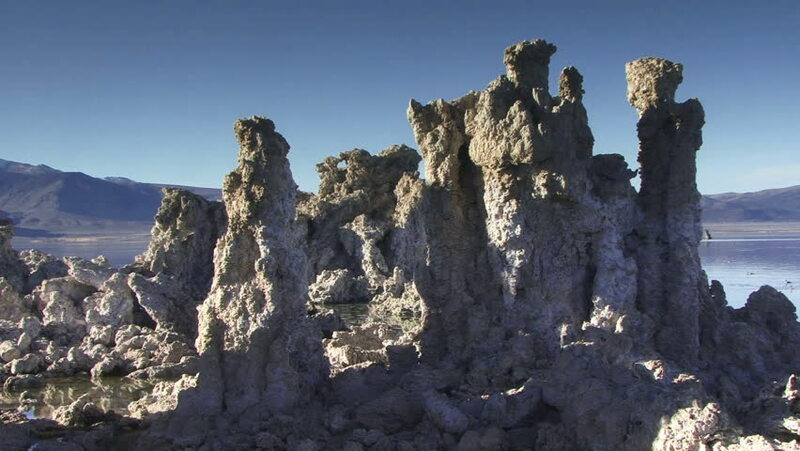 hd00:30Mono Lake 004: A strange landscape of Tufa columns at Mono Lake, California. hd00:30Background ducks boogie along on a lake behind rock formations.